Examples of non-postal Cinderellas that were used for the partial delivering of the mail include local stamps and some railway stamps. The best explanation that I can give is that they were basically used where the postal service didn’t reach (for example: the trip by ferry from an island to the mainland required an official postage stamp and a local stamp for the ferry service) and were tolerated by the post office and sometimes even sanctioned by the government for a certain geographical area. Revenue stamps (also known as fiscals) are considered Cinderellas; they weren’t used for the mail, but they were used by the government. Confusing, right?! According to the website of the “Cinderella Stamp Club”, Cinderella stamps can include “local stamps, telegraph stamps, railway stamps, revenues/fiscals, forgeries, bogus and phantom issues. 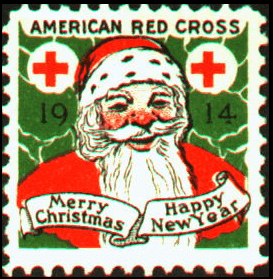 Christmas, Red Cross, TB and other charity seals, registration labels, advertisement and exhibition labels and many other items…” (Direct quote). So here is my basic definition: a Cinderella stamp is anything that looks like a stamp but that was not issued by the post office for the mail. 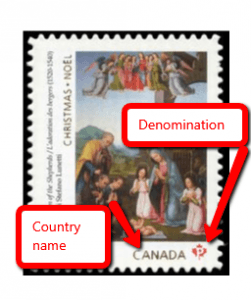 It does not have a denomination or a country printed on it. It is nothing more than a sticker or label issued by a non-governmental agency for advertisement purposes, to raise money for a charity, or in some cases, as propaganda for a war effort or political party. Think of Christmas and Easter Seals and War Amps stamps. In the case of revenue stamps, they were issued for the collecting of specific fees and taxes, but not used for postage. Most stamp catalogues do not list Cinderella stamps since they are not postal issues. However, the Unitrade Catalogue of Specialized Canadian Stamps does contain a listing for Canada National Christmas Seals printed from 1927-the present day. These labels could be purchased and stuck to an envelope in addition to the required postage stamp. Their purpose was to raise money and awareness for The Lung Association (also known as The Canadian Tuberculosis Association). The Unitrade Catalogue also lists revenue stamps at the back of the catalogue. At Arpin Philately, revenue stamps have their very own category. WHY THE NAME “CINDERELLA STAMPS”? Finally, why are they called Cinderella stamps? 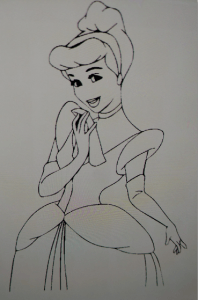 Well, in the classic fairy tale, Cinderella is the underdog of the story, abused by her stepsisters and treated like an inferior person by everyone “above” her, until she finally marries the prince. An appropriate metaphor for these poor little stamps that are considered inferior and second-class compared to “real” postage stamps … (lol!!). Like Cinderella though, they are slowly getting the respect they deserve in the philatelic world. Some Cinderella stamps are quite rare and valuable. It can be a fascinating field of study and you can learn quite a bit of history from learning more about their subject matter! For instance, why not take the time to learn more about the Spitfire Fund stamps pictured below! Enjoyed this. However, your definition including “does not have a denomination” is not always so. Consider the British Isles Lundy Island locals denominated in “puffins” (true, not a legal denomination, but still valid for them), or, more precisely, the Juan de Fuca British Columbia Private Courier Dispatch locals denominated in American currency (to pay the ferry fees both ways between Port Angeles, WA and Victoria, BC) during the Canadian postal strikes beginning in 1965. AGGHHHH! is right in trying to define Cinderella stamps comprehensively. Thank you. very informative! always wondered about them. is there any value placed on them? Great information, I have my fathers stamp collection I am trying to sort out to sell.